To access some of these connections, you may need to disassemble part of the control panel. 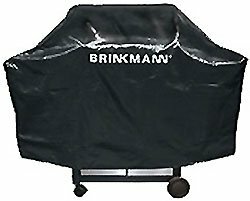 See your grill’s owners manual to identify each connection and learn how to access them. 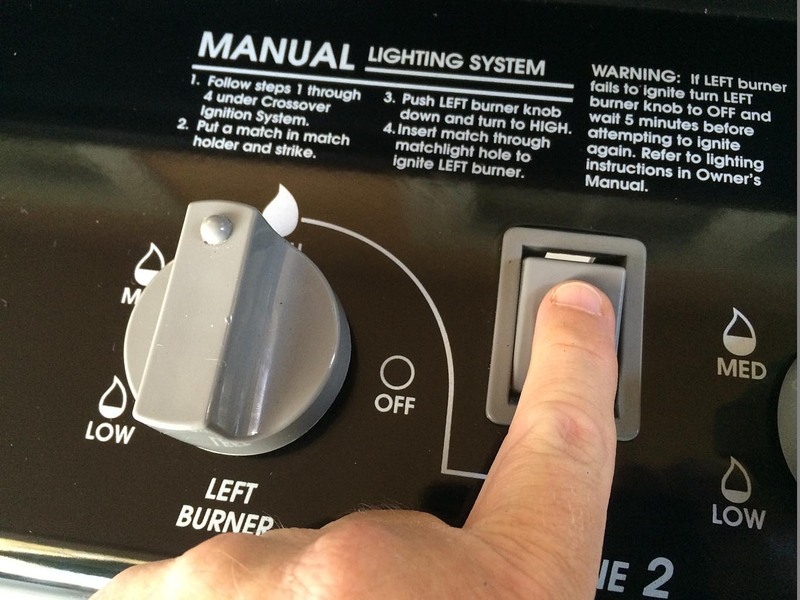 To check for leaks, confirm that all burners are turned off, including any side burner. Turn on the propane or NG supply. Do not light the burners during the test. Make a solution of dishwashing liquid and water. Using a brush or cloth, wet each gas fitting with the soapy solution. If you see bubbles forming, there is a leak. 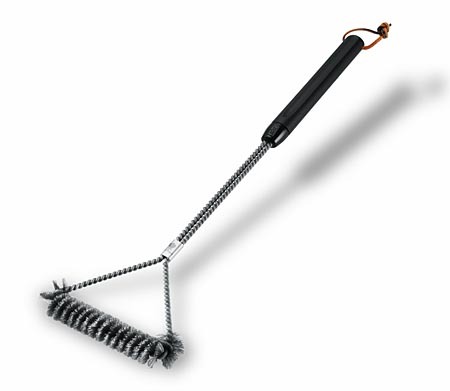 Turn off the gas supply, tighten the connection and retest with the soapy solution. 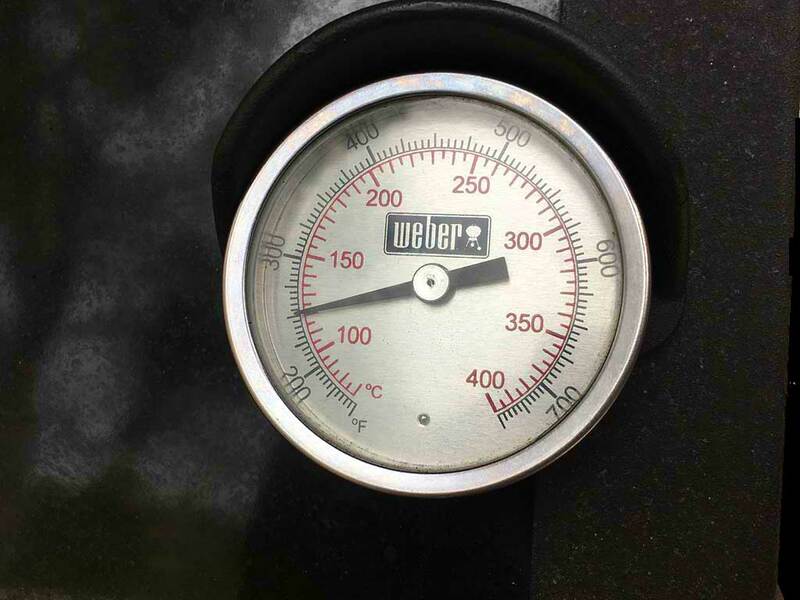 If the leak persists after tightening the connection, do not operate the grill and contact a Weber dealer for assistance or call Weber Customer Service at 800-446-1071. With the testing complete, turn off the gas supply and carefully rinse each gas fitting with clean water to remove any soapy residue that might corrode the connections. 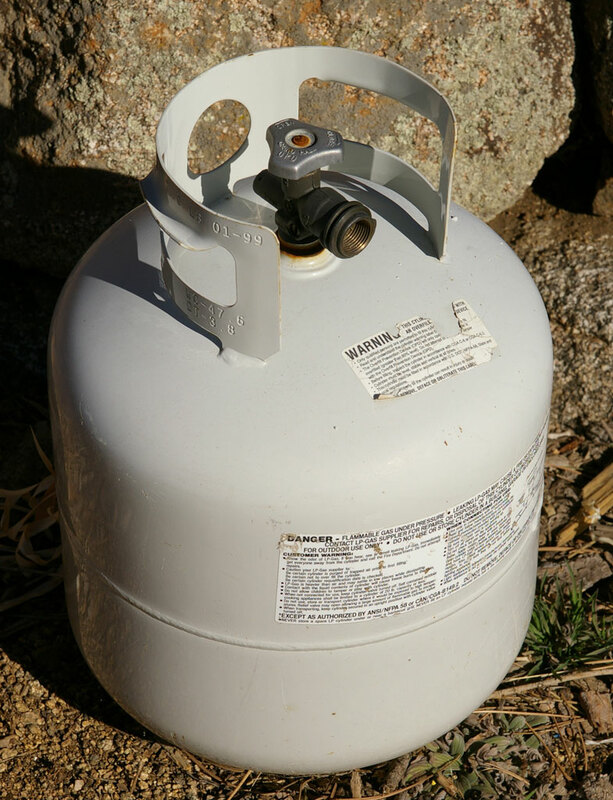 As a conclusion to my posts Turn Off The Gas Supply and Expired Propane Tanks, I wanted to say a few words about how to properly recycle a propane tank. You cannot just toss that tank in the trash. It’s bad on two counts. One is that it’s considered hazardous material. Another is that it contains a lot of good steel that can be recycled into your next propane tank or gas grill! Contact your local garbage hauler. They can tell you where to drop-off your old tank. Contact your city or county hazardous materials department. Where I live, the county sponsors free drop-off locations where they accept old propane tanks along with other hazardous household materials. Go to the place where you have your tank refilled and ask if they will accept old tanks for recycling. Contact the tank manufacturer. They may be able to tell you about a recycling location near you. 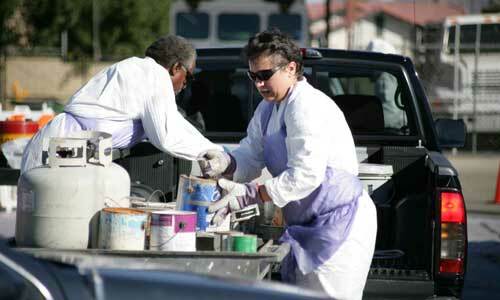 Contact a scrap metal recycler to see if they will accept old tanks for recycling. You can drop-off tanks for recycling at any Blue Rhino exchange location. Just write RECYCLE on the tank. They will collect and refurbish the tank, is possible, otherwise they will recycle it. Notice anything special about this tank? Let’s take a closer look. See that number “01-99” stamped into the valve guard? That’s the manufacturing date of this tank—January 1999. 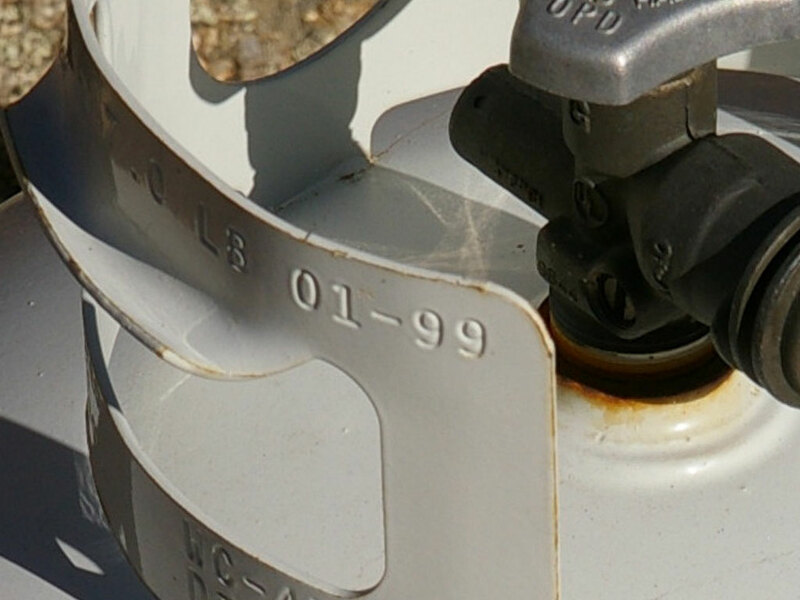 Propane tanks can be refilled for up to 12 years after their manufacturing date. For this tank, that was until the end of January 2011. After that date, reputable propane dealers will not refill the tank unless it has been recertified. You can get tanks recertified for a fee at larger commercial propane dealers. Recertified tanks get an additional stamp or mark on the valve guard and can be used for an additional 5 years, at which time they need to be recertified again. What causes a tank to fail recertification? Extensive rust is one thing. And if valve requirements have changed by law, you may need to have the valve replaced in order to recertify. Why do I know anything about this subject? Because last year I took a tank to the A-1 Rental Center near my home for a refill and was told that they would refill it one last time, but next time they would not because it had expired. Surprise! Of course, this issue is not relevant if you do the tank exchange thing at the supermarket, gas station, or big box store. Tank exchange is very convenient, but at least where I live, if you do the math, it’s cheaper to own a tank and refill it over 12 years than it is to do tank exchange, so that’s the route I have chosen. But when my tank expired, I decided it wasn’t worth the hassle of trying to find a place to recertify it and pay the fee, so I just bought a new tank. Now…how to get rid of an old propane tank? That’s coming up in a future post. You do turn off the gas supply when you’re finished grilling, don’t you? If not, you should. Weber says so. Why? 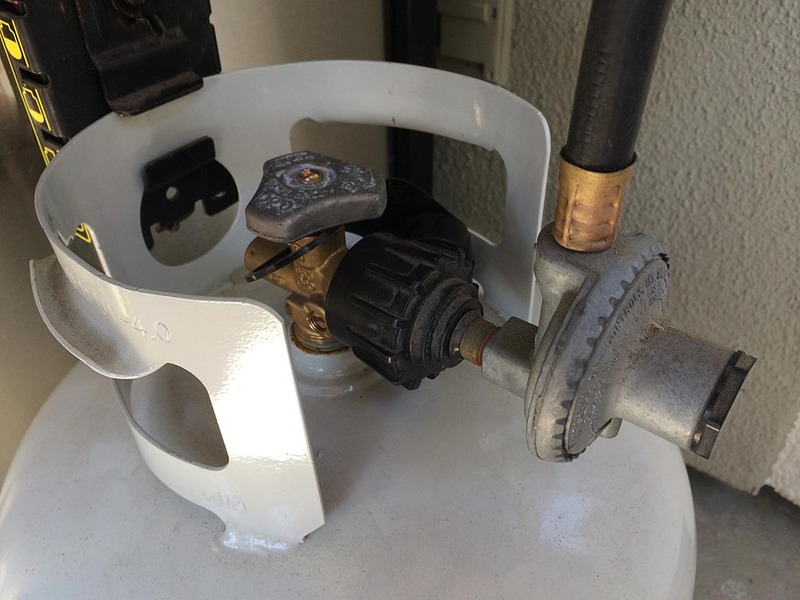 It takes the pressure off the hose, valves, and connections inside your grill. If any of those parts were to fail, you’d have a potentially dangerous gas leak on your hands. “But my grill is well maintained,” you say. When was the last time you used a soapy water solution to check each valve and connection for leaks? When was the last time you examined every inch of the supply hose for cracks or wear? “But I don’t turn off the gas supply to my kitchen stove after each use, and that’s inside my house,” you say. Your kitchen stove and other indoor gas appliances are designed to operate under continuous gas pressure. Your grill is not. Remember, the manufacture is recommending that you turn off the gas supply after each use. Maybe you should follow their advice. Why take any chance at all when it’s so easy to reach down and turn a knob? Is there a proper sequence for turning off the gas? Weber says to turn each burner control knob to the OFF position first, then turn the gas supply off at the source. The next time you cook, follow the safe lighting process by reversing those steps.